Home  Could the earth completely flood like in WaterWorld? Could the earth completely flood like in WaterWorld? Not as described in the movie. In the movie - Global warming has heated the atmosphere of Earth to the point that all ice deposits have melted. That includes all sea ice, ice bergs, and polar ice caps. The result is a rise in sea levels that covers the entirety of the land on the planet. 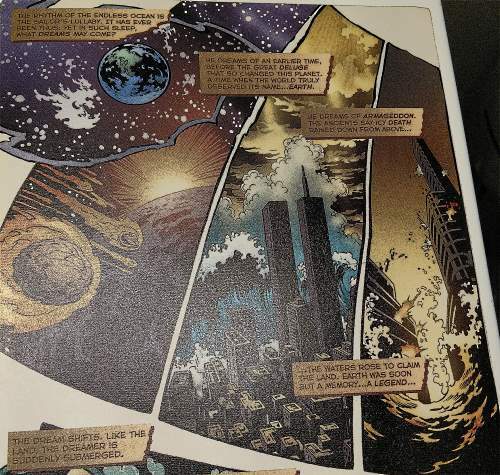 In fact, the flooding is so overwhelming that the mile-high city of Denver is completely submerged (which we know because Costner’s character of The Mariner dives there to collect dirt and other trinkets to sell). In fact, the only remaining dry land is at the tippy-top of Mt. Everest, where the characters eventually end up at the end of the film. 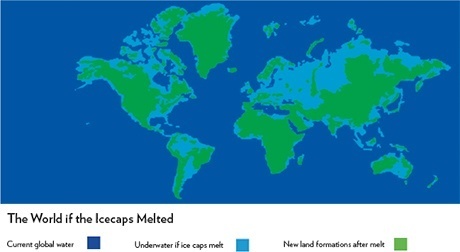 Even if all the polar ice caps melted there would not be enough water to cover all the land. but most of Asia, America’s, Greenland and Africa would still be above water. The ice already floating in the sea could melt in its entirety, and it wouldn’t change sea levels. So while melting sea ice is a concern, it wouldn’t affect sea levels. The polar ice caps, which rest on land, CAN affect sea levels if they melted. (a little more than 200 feet). 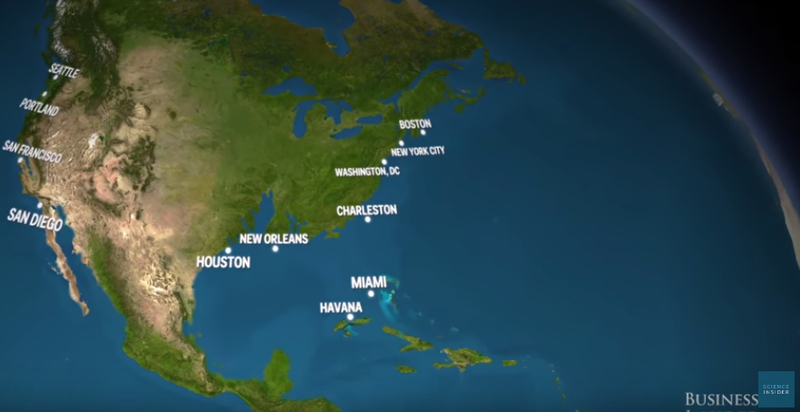 Here's what the earth would look like if it was flooded with 200ft of water. Water - H2O is a volatile material in the conditions necessary to form a star and cannot exist in the intense heat when a star is formed. So we know that the water here did not originate here. However in the clouds of material present prior to a star forming there's a LOT of water. There could well have been a band of water cloud the solar system passed though after the sun formed allowing the planets to collect water. Those planets with sufficient gravity and in the right temperature zone retained their water. Too little gravity and too hot and the water will evaporate into space leaving a dusty rock. Researchers reported in 2012 that the ratios of different forms of hydrogen in asteroids appear to better match what we find here on Earth giving us a lead that the present water is likely not from Earth origin.